The new Araba Agbaye is His Spiritual Eminence Owolabi Awodotun Aworeni. 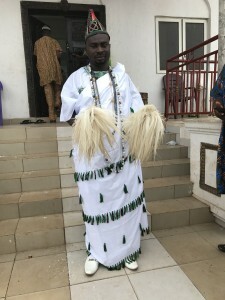 He is a native of Ile-Ife, known as birthplace, “The Source” or “The Cradle” of the Yoruba civilisation .He was born into the family of late Araba Agbaye, His Eminence Adisa Aworeni Awoyemi a.k.a. 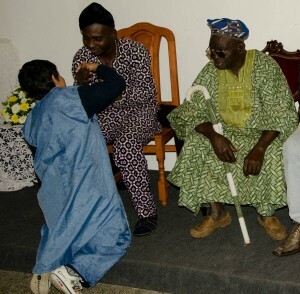 Makoranwale and Madam Gbojubola Marindoti Aworeni. 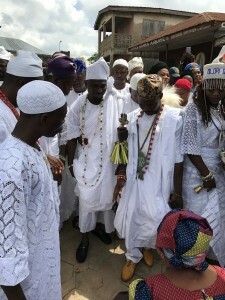 spent his childhood among the shrines, Orisa and ancestors of the Oketase compound.His family traced directly to Orunmila, the origins of Oke Itase, Ile-Ife and the birthplace of human beings. He attended Sijuwade Nursery and Primary School, road 7 and later moved to First Quality Nursery and Primary School Mokuro road, Ile-Ife for his primary school. 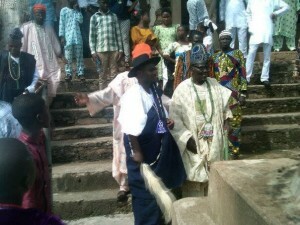 He attended St. John secondary school, Oke-Atan and Seventh Day Grammar School for his secondary school education. 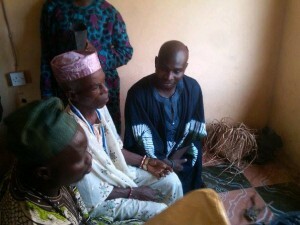 For his tertiary institution, he attended Adeyemi College of Education, Ondo. 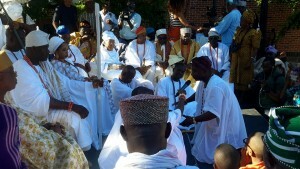 The New Araba Agbaye is the last son and child of his mother. 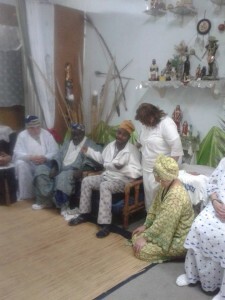 He is a professional and well trained Ifa priest. 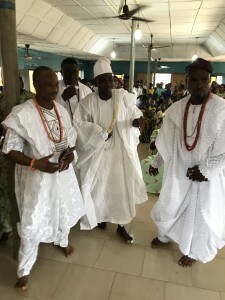 He learned the art of Ifa from his late father and Ifa training later took him to his Oluwo Awominure of Agesinyowa compound of Ile-Ife in the late 1990s. 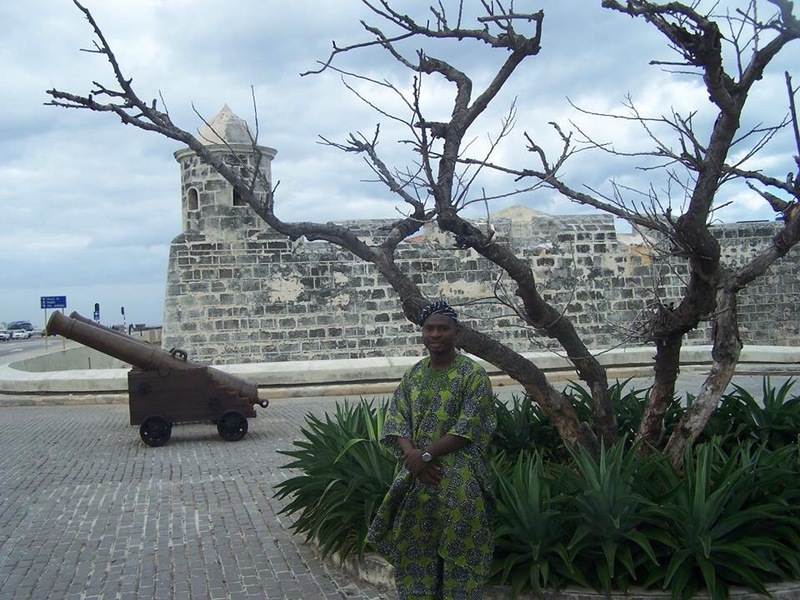 Since early 2000s, he has established his name both in and Diaspora. 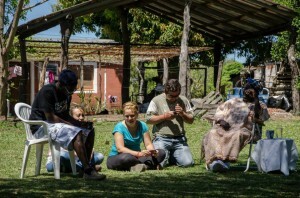 He has travelled to different parts of the world extending frontiers of Ifa knowledge. This has took him to Venezuela, Mexico, Italy, USA, United Kingdom, Brazil, Argentina, Paraguay, Urguary, Cuba, Colombia, Trinidad and Tobago and host of others. 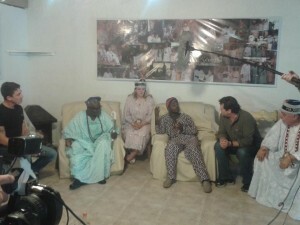 Also he has Omo-Awo in those countries who are doing well. 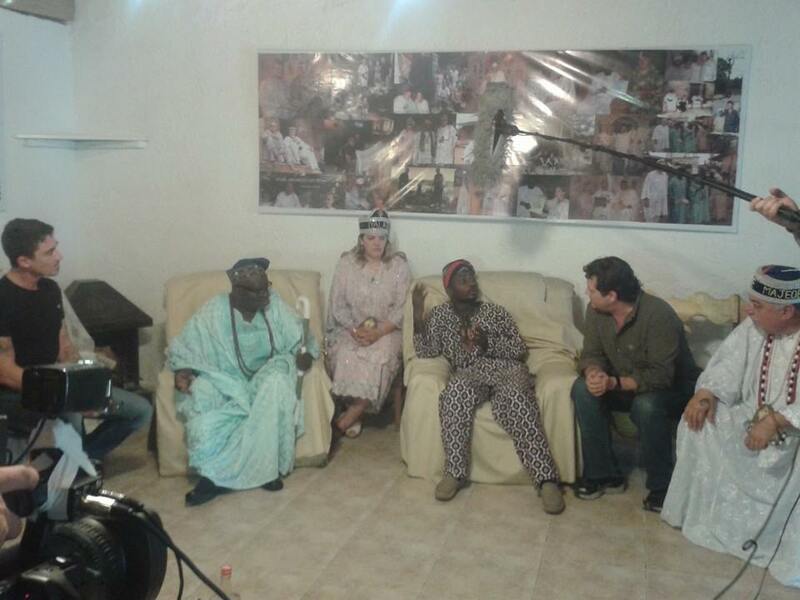 He has received numerous awards and honours in promoting and propagating Ifa, Yoruba history and Culture. 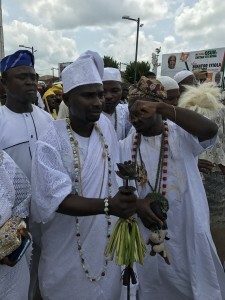 His sojourn to Awo Olodumerindinlogun started in December 2013, when he became member of the Awo Olodumerindinlogun and was installed Olori Iwarefa. In April 7 2018, he emerged as the new Afedigba Awo Olodumerindinlogun due to the death of late Afedigba and Baale Ile Oke-Itase, Pa. Olujide Omopariola. 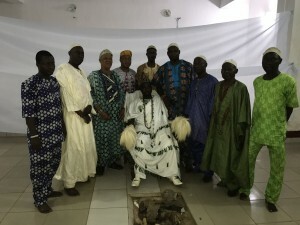 He emerged as the newest Araba Agbaye on Sunday 19th August 2018, after he has defeated his closest opponent in the Araba race conducted by the Araba Agbaye selection committee headed by the current Baale of Oke-Itase, Pa. Jonathan Faloba Olajolo. 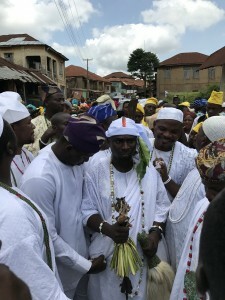 His selection as the New Araba Agbaye was ratified on 30th August 2018 by the Ooni and Ife Traditional Council as the Substantive Araba Agbaye. He is the founder of Orishada Ifa Cultural Foundation. He is happily married with children. Long may he reigned on the ancestral throne of his forefathers, Ase. May his reign witness progress, peace and harmony. Araba Agbaye is the largest priest of Ifá in the world. 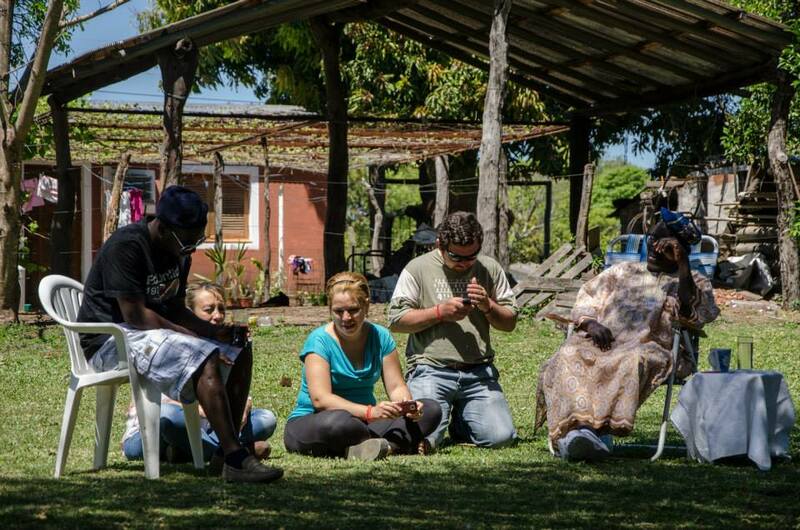 It is the pope of all Ifá practitioners, both inside and outside the diaspora. 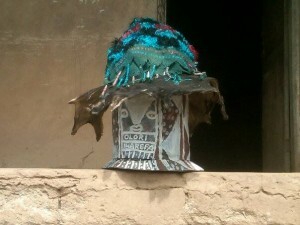 Araba Agbaye is a direct descendant of Orunmila. Due to its large / huge size, it can be referred to as the parent of the trees, which is very significant for the importance of the title. 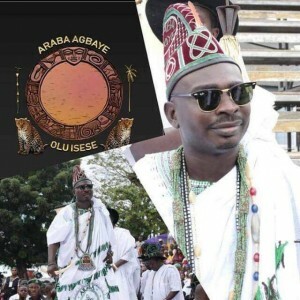 Thus, with this meaning, the Araba Agbaye is the father of all the practitioners of Awo Olodumerindinlogun, Araba, Oluwo and Ifa. 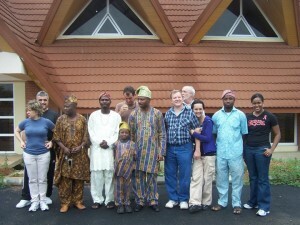 This title is restricted to the compound Oke-Itase, Ile-Ife. 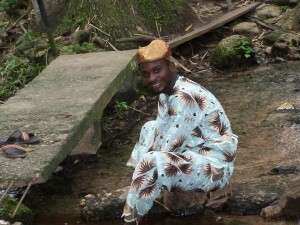 The first Araba Agiri was an Agiri, also known as Baba Oke-Itase. 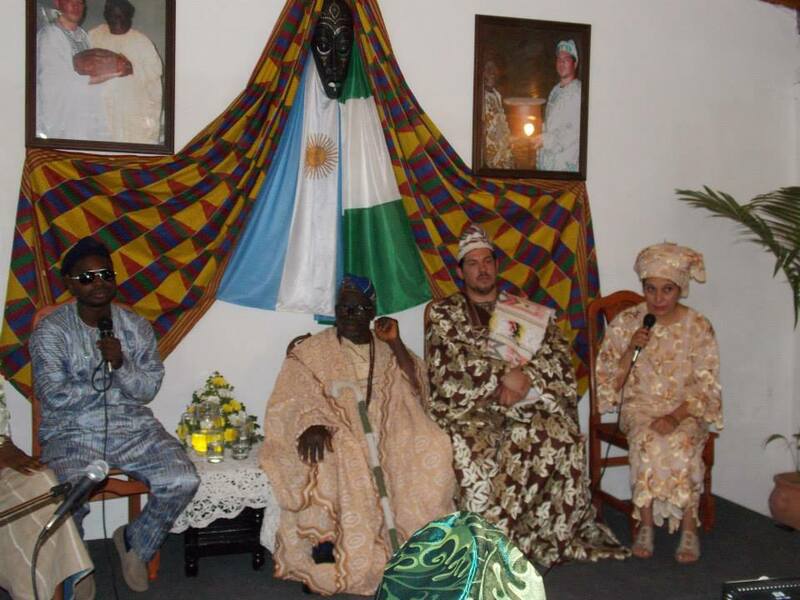 Their descendants are those who reign as Araba Agbaye. Some of his successors were Olumodan, Gbagalaala, Adoosioke, Agarawu, Lamilooye, Ijala, Awoeju Ipeti Nagunnaja, Fafore Omopariola, Awosope Awosade, Fasuyi Omopariola, Adisa Aworeni and the younger Araba, Owolabi Awodotun Aworeni. One thing is very important, not all the male children of Oke-Itase are entitled to the title of Araba Agbaye. It is mandatory that this child be initiated in Awo. 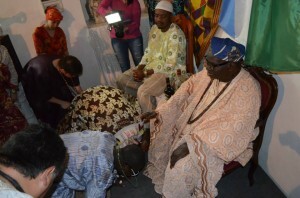 His Eminence Owolabi Aworeni is available for divination, consultations and instructs many omo Awo’s locally and abroad. 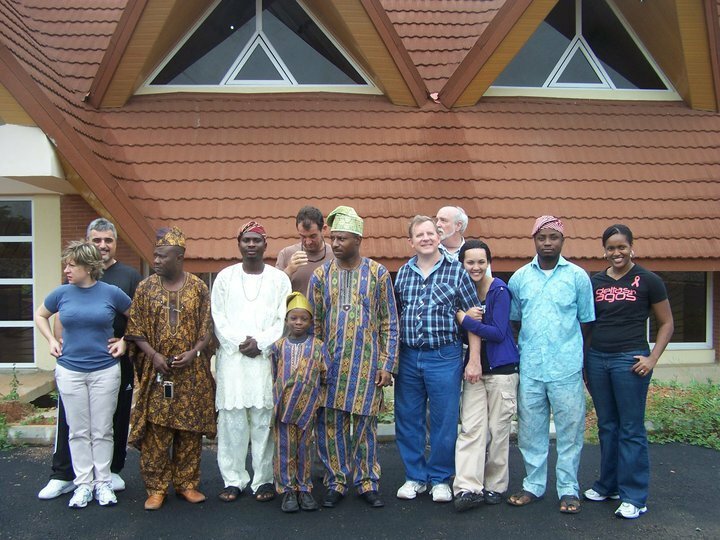 He has traveled extensively to spread Ifa. Your kind attention to this website is appreciated and all questions or concerns will be answered.